"From the big city of Hanoi I take in the evening the night train to Lao Cai. I had a berth in a compartment of four in the night train. The passage is quite comfortable. When I wake up I'm almost in Lao Cai. My private driver is already waiting for me. But at first there is time for a nice breakfast. It's still a four drive to the village of Can Cau.."
Lao Cai - with its 20 ethnic groups is a melting pot of cultures and history. 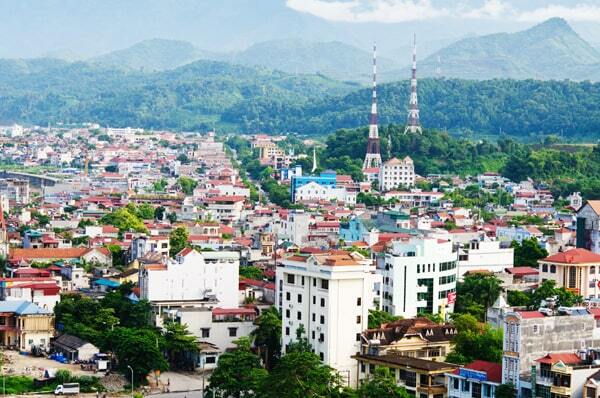 Lao Cai is the name for the province, as its capital. It is not a place to stay long, but it's a good place to stay if you're heading for China (Kunming) or Sapa. The town lies at the border with China and shares the border with the Chinese city of Hekou, in the Yunnan Province of Southwest China. Lao Cai was largely destroyed in the last war with China. This border town was closed after the war (1979} with China and only reopened in 1993. It has become a major tourist center between Hanoi, Sapa and Kunming (China). The ruined city is rebuilt and it has many modern buildings. Since the province is mostly mountainous, it has a dry and cold climate from October to March. The tropical monsoon (rainy season) lasts from April to September. 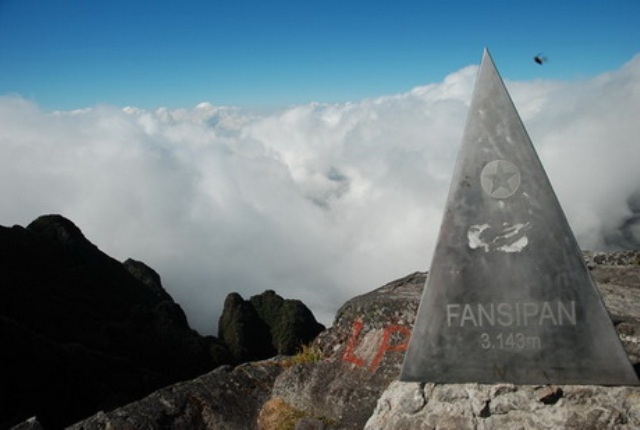 The annual average temperature in the province is 23 � C.
In the northwest of the province is Mount Fansipan (aka Fansipan). It's the highest mountain in Vietnam has an altitude 3143 meters and is covered with snow in winter. The town of Lao Cai is at the banks of the Red River and the market is "booming" with China. The number of millionaires in the city (and vicinity) is increased significantly. 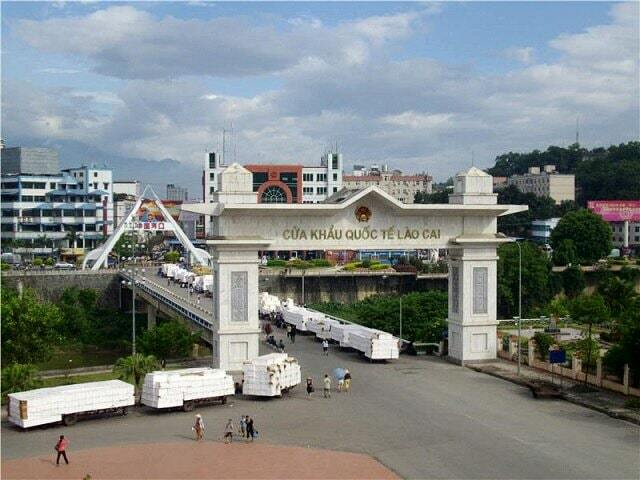 Since 2006, Lao Cai has a city official status, it is strategically very important. They are building an airport now, which should be ready by 2020. The city was the administrative center during French colonial rule in 1889. There was also a military garrison. In the early 19th century, the first railway was built from Hanoi to this region. The construction of this railway line lasted 7 years. But it was at the expense of 25,000 Vietnamese lives, who were obliged to work on the railroad. Sapa you must visit. This is a "must". On clear days you have the most wonderful views. You have views of the valley and the mountains around you, where sometimes fog surrounds it. But even if it is cloudy, the colorful people of the surrounding tribes inhabiting the streets of Sapa. 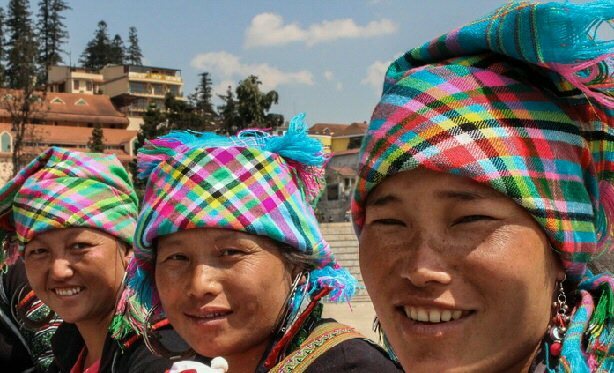 Sapa is home to many minorities of North Vietnam and South West China. In the Sapa area are several small villages, which includes the Black Hmong, Tay, Xapho and Red Dzao hill tribes live. These strains are differentiated by their costumes. They are nicely dressed in their costumes. The population still authentically in this mountain farmers. During harvest time, see you then picking or peeling many groups of people maize, after drying the corn is on large mats along the way. Unfortunately the Sapa market is not in the centre of the village. It is located in a special built modern building near the bus station. you can observe the daily life of the local people. The Sapa market is still a hive of activity with colourful fresh produce. The butcher is also part of the market and do not be shocked if you see a head of a slaughtered animal. This also sold by the butcher. There is also plenty of fruit and vegetables from the area for sale. The population of the tribes from the surrounding villages are here every day. They are trying to sell their handicrafts. You can then buy nice handmade souvenirs, such as straps, wallets and hats. In the evening there is a night market and you can eat here too. Saturday is the busiest day.